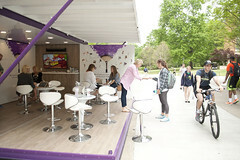 For BeautyKind’s college tour, we used a 20’ Suite. 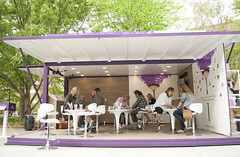 Their container was outfitted with beautician chairs, mirrors, and plenty of products to sample. BeautyKind also provided makeovers, manicures, pedicures, and had online portals for visitors to purchase their favorite products. The purpose-built suite had a full upper deck and wing walls and was painted a royal purple to really make the BeautyKind brand come to life. 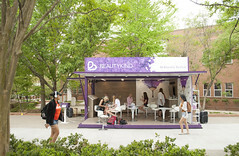 A college campus was the perfect spot for the BeautyKind team to develop relationships with students. BeautyKind really tapped into the millennial student body by playing current radio hits to attract students on their way to classes or just leaving their lectures. 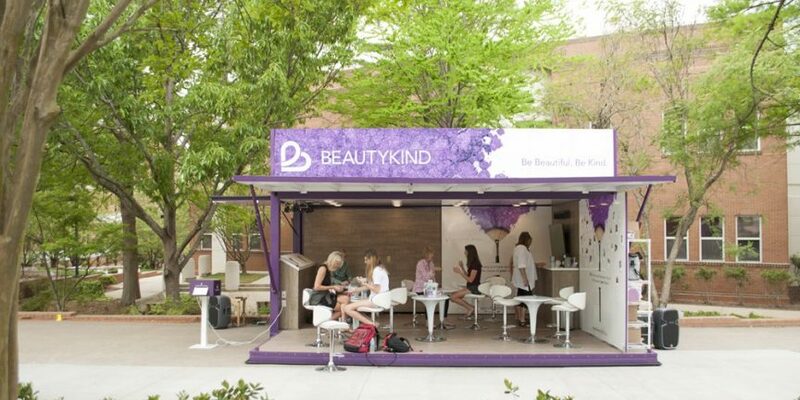 The services BeautyKind offered were perfect for the on-the-go mode – 10-minute manicures and makeovers. 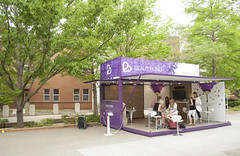 One of the coolest aspects of the BeautyKind set-up at Clemson was the social media interaction. As students wrapped up their beauty treatments, they were able to upload a photo of their BeautyKind experience to Instagram using the hashtag #beautykindclemson. But, those photos didn’t just stay in cyberspace. BeautyKind had an on-site printer that allowed students to walk away with a physical copy of the photo they just posted on Instagram.